Ken Adams Insulation & Drywall, Inc. Comment: 800 SF Block home, would like to blow in fiberglass to highest R-value possible. Comment: I would like to receive estimates for my insulation project that covers approx 1,400SF home (living space). Comment: Approx 1,400SF home (living space). Comment: My residence is a single story villa of approximately 1300 square feet. 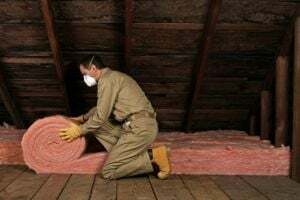 There is blown in insulation in the attic area at present however, some of it has been removed during a re-roof project prior to my purchase of the property. I wish to bring the insulation properties of the attic space up to a level which will allow for proper cooling of the interior living space. Comment: I need an estimate to install blown in insulation in the attic of my house. Crystal River Insulation Contractors are rated 4.82 out of 5 based on 61 reviews of 3 pros. Not Looking for Insulation Contractors in Crystal River, FL?